The research programs in the Department of Plant Pathology ensure the economic viability of agriculture, the largest sector of Georgia’s economy, and contribute to national and global food security through reduction in crop losses. Equally important, our research increases the understanding of basic biology through new discoveries on pathogen biology, resistance genetics and host-pathogen interactions. 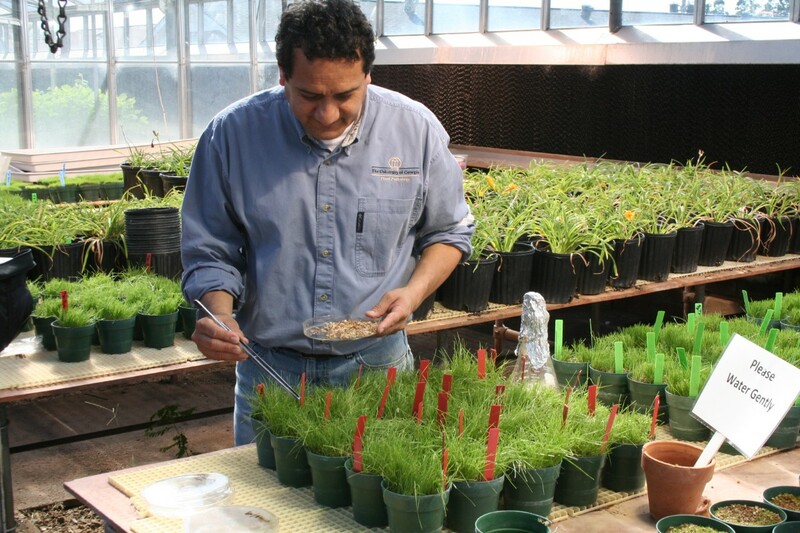 Research conducted in the Department of Plant Pathology is impactful, both within the state and across its boundaries. For example, estimated reductions in crop losses associated with departmental activities are typically in the range of $200 to $250 million annually, representing a direct gain to the economy. Other examples of the profound impacts of plant pathology research are documented in the College of Agricultural and Environmental Sciences’ Impact Statement database (select “Plant Pathology” in the pull-down menu for “Group”). The department is recognized internationally for its comprehensive and integrative research portfolio, spanning basic, translational and applied programs. The breadth and depth of these programs is summarized in the following table.